Sep 16, 2010 – It’s finally here! 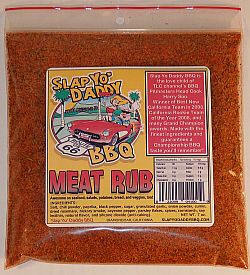 Slap Yo’ Daddy BBQ’s competition Meat Rub is on sale. Great for meat, fish, shellfish, veggies, and everything else! Check it out and order some for yourself, family, and friends.